Cogencis Walkin Recruitment For Data Analyst | Drive From 14th to 22nd December 2017. Cogencis Information Services is conducting walkin drive for B.Com, BAF, BMS, BFM freshers with at least 0 – 2 years experienced candidates in a Financial Data Analyst or similar role with a Bachelor’s Degree related to Finance, accounts. Who had completed B.Com, MBA can utilize this opportunity on or before the closing date. Eligible candidates can attend for Cogencis Walkin Recruitment in Chennai from 14th to 22nd December 2017. Job seekers who want to work with Cogencis must refer Cogencis Placement Papers and Cogencis Syllabus which will help during preparation and crack the test in Cogencis Careers. The candidates will be selected based on their performance in the written test. Aspirants who will clear all rounds only those people will be appointed to the Back Office Executive position. The shortlisted candidates list will be finalized by the officials of Cogencis Company. Applicants have to read the entire post to know the information about Cogencis Walkin Drive. Keep on visiting All India Jobs for latest updates and accurate data. Main responsibilities will be to update, maintain and process data on Indian Equities. The candidate need to collate data from the public domain, analyze and summarize data on Indian Companies financial and non-financial statements, compliance report filings of historical and current financial statements, and inputting the data in a structured format on a timely manner. The candidate needs to have experience of at least 1 to 3 years respectively in a Financial Data Analyst or similar role with a Bachelor’s Degree related to Finance, accounts. Shift timings will be 9 am – 6 pm. This will be a contractual employment for 3-6 months which will be renewed depending on performance. Candidates who have completed B.Com, BAF, BMS, BFM will be considered. Cogencis Information Services Ltd. is India’s premier and fastest growing real time market data and financial news terminal provider. Cogencis is among the few market data vendors in the world that have proprietary data and news which helps it serve discerning customers. Cogencis believes in providing bespoke products to cater to the information needs of diverse customers. We do not believe in the one-size-fits-all product philosophy. Cogencis’ products are focused on delivering more of what the customer wants, such as far deeper and broader domestic data and news, and do not overload the customer with what they do not need. In short, our products are cogent to customer needs and our customers have appreciated this. Our bespoke product approach has enabled us to significantly expand the market for market data and news terminals. 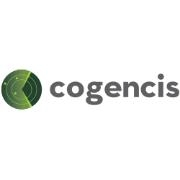 Cogencis Walkin Recruitment for Data Analyst Positions. Contenders who are going to appear for Cogencis Job openings in Chennai can attend on walkin dates. Candidates will not be allowed inside the venue after the closing date. And candidates should carry mandatory documents while attending for Cogencis walkins, sometimes security will not send into the company without showing proper ID.